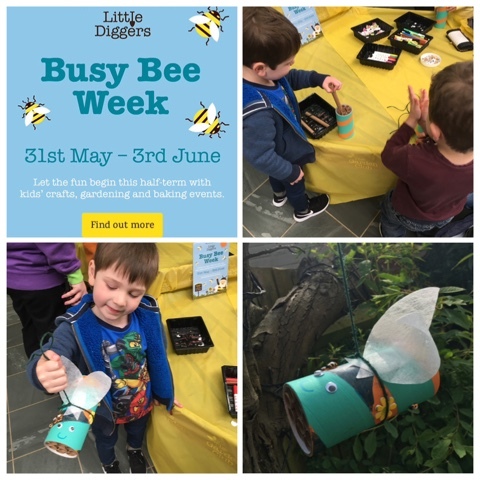 A couple of weeks ago we visited Northampton Wyvale garden centre with a friend to attend a Little diggers bee hotel workshop for their Busy Bee week of activities for children during half term! Everything is set out in containers on a nice low table, T and his bestie Jake were easily able to reach everything they needed. 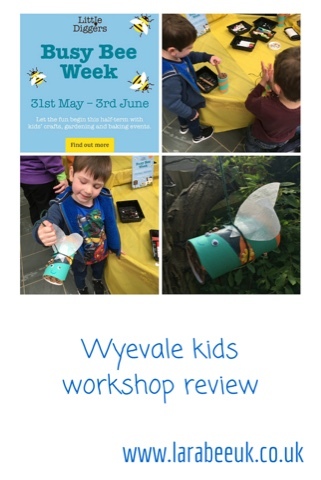 The lovely lady who was running the event showed the boys her bee and explained what they needed to do. 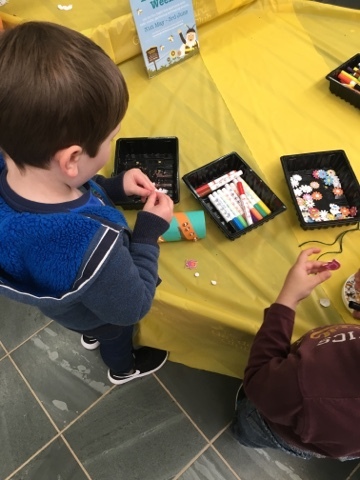 Of course, T goes against convention and wanted a black and green bee, but both boys did a great job of putting it together their bee hotels and decorated them beautifully. 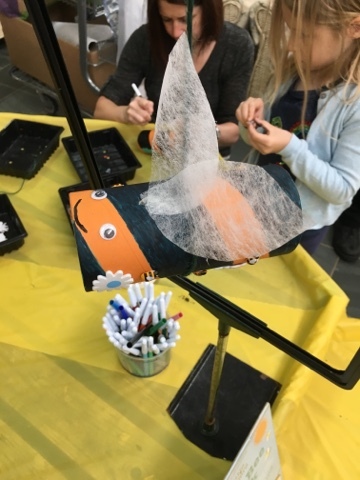 The price of this workshop was £2.50 and a packed lunch can also be ordered for £4.00 when you book. 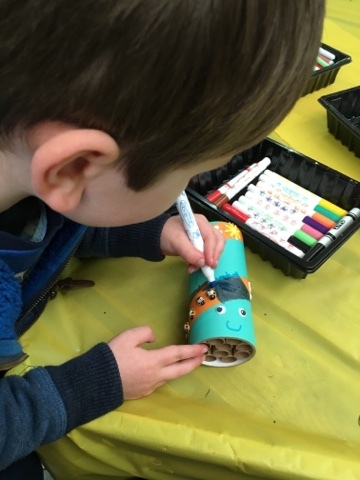 We attended a 'make a birdhouse' little diggers workshop earlier in the year which T equally enjoyed you can see our review for that here. Follow your local Wyvale on Facebook to find out about forthcoming Little digger events in your area you can also follow Little diggers on facebook. Disclaimer: we were given complimentary tickets and lunchbox for this event in return for our honest review.